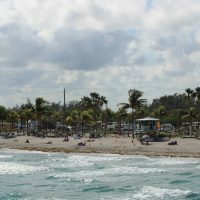 Dania Beach is a major player in South Florida’s academic, marine, and tourism industries. The American Maritime Officers (AMO) Simulation, Training, Assessment and Research Center, with state-of-the-art bridge and engine room simulators, offers advanced merchant marine training. 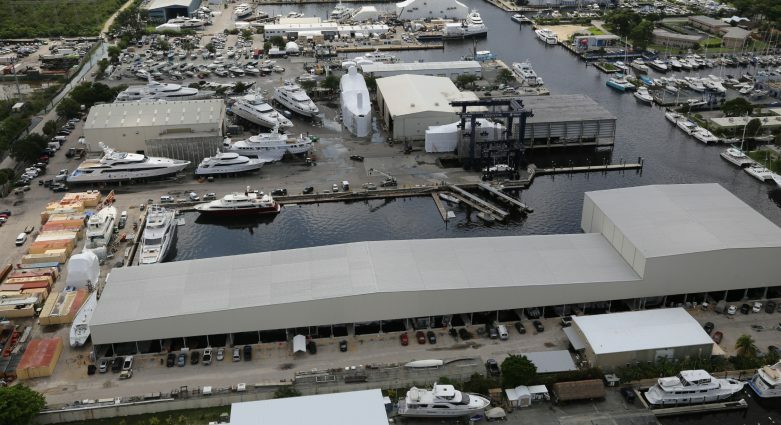 Derecktor Shipyards, one of South Florida’s largest yacht repair hubs, owns a $1 million lift for boats up to 100 feet long. The yard also owns a $3.5 million lift that is nearly eight-stories-high, to handle super-yachts 100 feet to 200 feet. It is the tallest mobile boatlift in the world. 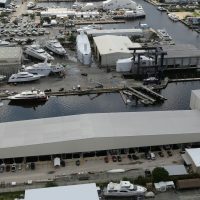 The City’s 120 Slip Marina, located between the Intracoastal and the Atlantic Ocean, Bass Pro Shops and Diver’s Direct are major attractions for people interested in outdoor sports, boating, and fishing. SeaTech, FAU’s Institute for Ocean and Systems Engineering, is the nation’s first ocean engineering program. The world-class faculty is engaged in research and technology development in the areas of acoustics, marine vehicles, hydrodynamics and physical oceanography, marine materials, and nanocomposites. The City’s extensive recreation program includes a beach and fishing pier, pools, tennis courts, neighborhood parks and community centers that provide a wide variety of programs for youth, adults and senior citizens. 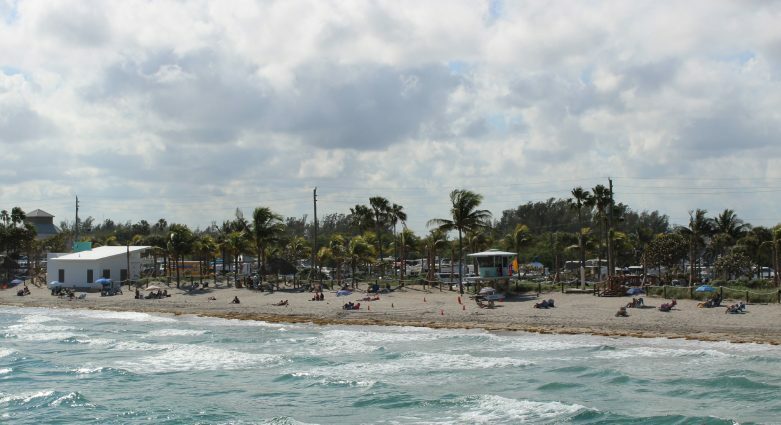 Dania Beach has earned its Leadership in Energy and Environmental Design (LEED) Gold certification from the US Green Building Council, the nation’s lead governing body on sustainable design. The Dania Beach Nanofiltration Water Treatment Plant is the first LEED Gold Certified Water Plant in the world. The Dania Beach-Paul DeMaio Library building also achieved LEED Goldcertification. 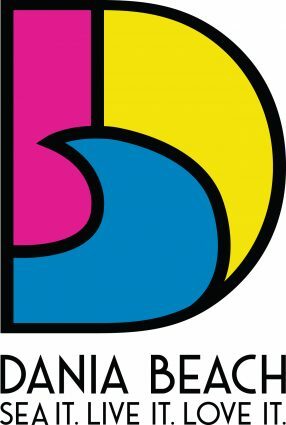 Dania Pointe will soon make Dania Beach Broward County’s preeminent lifestyle destination. The mixed-use development has almost 1 million square feet of retail, restaurants, Class A offices, hotels, luxury apartments and public event space.Dania Beach has implemented Oasis – Rebuilding Neighborhoods, an innovative community project that is improving the city one street at a time. The goal is to foster neighborhood pride and improvement, and through a “ripple effect” induce owners and tenants in the City to work together to beautify the City, increase property values and reduce crime. The Dania Beach Casino features 900 Las Vegas-style slot machines, a 24-table card room, nationally-known artists and live Jai-Alai. Grampa’s Bakery, Jaxson’s Ice Cream Parlor, Quarterdeck , Rustic Inn Crabhouse, Tarks are some of our local favorites. The DCOTA Design Center of the Americas, The Wiener Museum of Decorative Arts, The Gallery of Amazing Things, The Holocaust Documentation & Education Center bring visitors from all over the world right to the heart of our beautiful city. The City provides a full range of municipal services. The public safety program includes contracting of fire and rescue services and police services from the Broward County Sheriff’s Office. The City’s extensive recreation program includes a beach and fishing pier, pools, tennis courts, neighborhood parks, community centers and also provides a wide variety of programs for youth, adult and senior citizens. The Public Services Department provides essential street maintenance, roadway beautification, and general service operations oversees Community Development Block grants improvement projects. Public Services oversees operation of the City’s water, sewer and stormwater services and also provides internal support for grounds maintenance, fleet management andcitywide building maintenance. The Community Development Department provides planning, zoning, building inspection, and code compliance to the public. Internal support services include the Department of Human Resources which is responsible for recruitment, compensation andbenefits, employee relations, workers compensation, property, casualty and liability insurance. The Finance Department handles all of the City’s debt management, billing and collections as well as annual budget planning and preparation, computer network and support, management financial reporting, property lien research, cash management, capital assets recording, payroll and water and sewer utility billings and collections, annual budget and annual audit reporting, the City’s business tax licensing, and water meter reading and basic residential water meter services. Dania Beach Sea it. Live it. Love it. 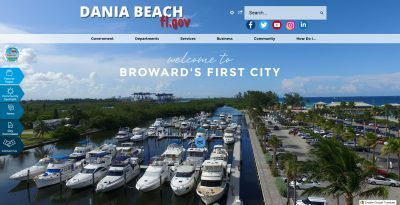 The Dania Beach Municipal Marina was developed by The City of Dania Beach with the support of the Broward County Board of Commissioners. The Dania Beach Marina is located on the opposite side of Dania Beach Ocean Park and the Dania Beach Pier which is next to John U. Lloyd State Park. It is a few minutes from the Fort Lauderdale International Airport, just south of Port Everglades inlet. Formerly known as the SeaFair Marina, the facility was originally developed as part of a dining and entertainment complex built by a private company in the early 1980’s. Today the building complex is now Sea Tech, the Institute for Ocean and Systems Engineering College of Florida Atlantic University. 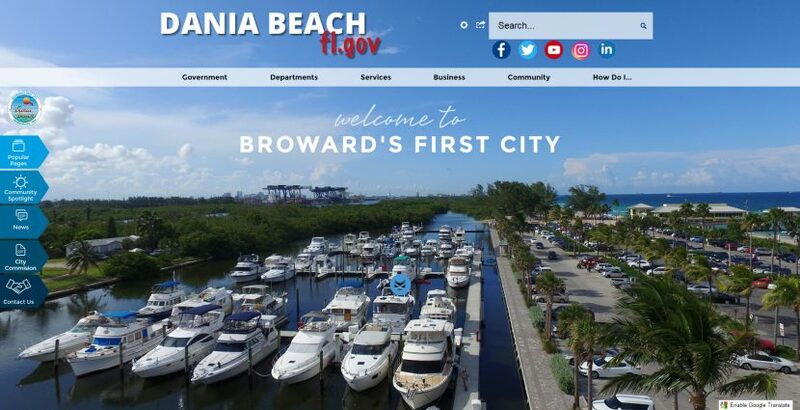 Westrec was selected by the City of Dania Beach through a comprehensive RFP process in early 2010 for the management and operation of this municipal marina located directly on the IntraCoastal Waterway, oceanside on Dania Beach. Westrec assumed operation of the facility on October 1, 2010 to manage this 92 slip marina. The Dania Beach Marina offers: Captain's Lounge Bellingham Floating Concrete Docks Wifi Pump-out station at each Slip Showers and Bathrooms 50-Amp and 30-Amp Pedestals with Water Laundry Facility Fish-Cleaning Station Covered Picnic Pavilion with BBQ Grill Bike Rack The Dania Beach Marina 151 North Beach Road. 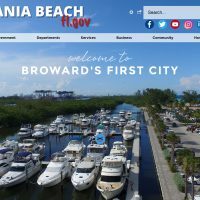 (954) 647-8655 daniabeachmarina@gmail.com Dania Beach Marina: http://daniabeachfl.gov/marina Welcome to The City of Dania Beach Florida Youtube Channel. This video is presented to you by The City of Dania Beach. 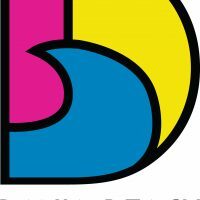 Voiceover & Edited by Katia Bordy, Public Information Officer at The City of Dania Beach.